Croatia's clash with Denmark pits Luka Modric against Christian Eriksen, but the Real Madrid man is looking beyond individual battles. Luka Modric admits he faces a "world-class" adversary in Christian Eriksen on Sunday but says it is time for Croatia's so-called 'golden generation' to prove their quality. Zlatko Dalic's side return to Nizhny Novgorod, the scene of their 3-0 group-stage win over Argentina, for a World Cup last-16 clash against a Denmark team who are unbeaten in 18 official matches. The match has been billed as a one-on-one battle between Modric and Eriksen, the star midfielders of their respective sides who have each impressed in Russia. 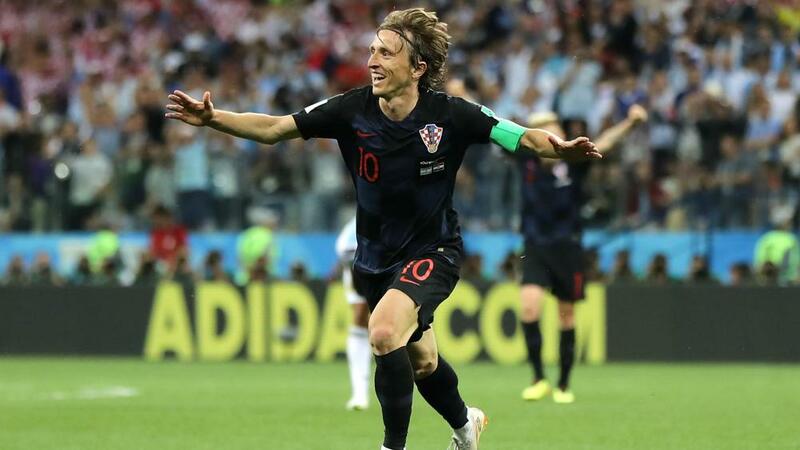 Modric, though, is looking at the bigger picture for Croatia, insisting it is now or never for the current crop of stars to match their heroes of 1998 and push for a place in the quarter-finals and beyond. "Eriksen is a world-class player, he had a fantastic season at Tottenham and I'm sure he's their best player, he's the most important player for Denmark," he told a news conference. "I think what will decide the game will be how teams perform as teams. No individual can do it on their own. Individuals can determine certain incidents but what will matter is how we do as a team on the pitch. "It's an important game for us. We've played fantastically in the group stage and we must be proud of that. But this new game means we must forget what has gone on. "It's high time for this generation to overcome this obstacle, which we haven't since 1998. I expect us to be capable of doing that. We're compact, we play as one, and if we do so, I hope we'll be ready." In addition to their impressive unbeaten run, Denmark have only conceded one goal in all of 2018, which was a Mile Jedinak penalty in their 1-1 Group D draw with Australia. But Modric warns it would be foolish to discount the attacking threat within Age Hareide's side. "We've already said their stats, one goal conceded in 2018 and unbeaten, shows how solid they are at the back and how tough they are," he said. "We'll have to play our best possible game to break them down. "I have great respect for them, they are strongest in defence but have excellent individuals. [Pione] Sisto, Eriksen going forward... the defence is their strong point but they can be dangerous."